The psychological and religious implications of alchemy were Jung's major preoccupation during the last thirty years of his life. The essays composing the present volume complete the publication of his alchemial researches, to which three entire volumes have been devoted ^DDL the monumental Mysterium Coniunctionis, Psychology and Alchemy, and Aion ^DDL besides shorter papers in other volumes. 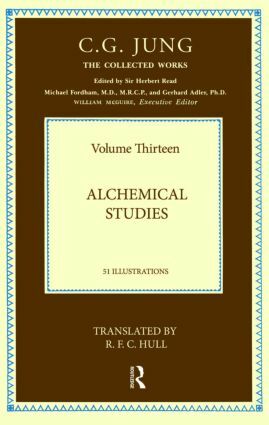 This collection of shorter Alchemial Studies has special value as an introduction to Jung's work on alchemy. The first study, on Chinese alchemy, marked the beginning of his interest in the subject, and was originally published in a volume written jointly with Richard Wilhelm. The other four are now published for the first time completely in English. 'It is remarkable how the various themes of alchemy appear in these essays with a new and illuminating difference each time.